iPhone web applications need special considerations while developing. Our iPhone application developers, designers, and managers are experts at getting the right balance between client's ideas, iPhone platform standards, user experience and expectations, as well as technical challenges and possibilities in the project. our application developers have a detailed understanding of the Apple platform and the various components involved including the iPhone SDK, Cocoa Touch / Objective C, Xcode IDE, Interface Builder, OpenGL ES, Open AL, Core Audio, Core Animation, Core Graphics, WebKit Programming, Accelerometer, GPS and Core Location Framework. 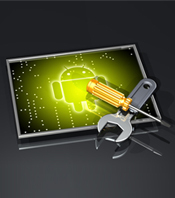 Our Android application developers have years of experience in the mobile application development and are well Versed with Android Software Development Kit (SDK), OpenGL, 3D graphics, Android Media APIs, Location–based Service APIs, Wi–Fi APIs, Android Security Architecture and other technologies required to build best apps you need. Our experience of the Android Market Place coupled with our talented designers and extremely knowledgeable Android app development team gives us the confidence to take on the toughest of challenges and deliver best apps. The need for a website design solution has now increasingly becoming an essential part that a business should undertake. The main objective of any business venture is to reach out to as many customers as possible which in turn brings benefits in the long term. At TEKLEAD Web Designs we provide allow for easy navigation from one page to another. Its interactive natures assure you that customers will come back to seek for more because of the experience they had. Our highly experienced web designers and developers ensure meeting customer’s expectation and execute with perfection. The Professional Database Services team can improve the performance and maintainability of your application, act as an extension of your development team and fill any critical skill-set gap you may have. Our engineers partner with our customer’s team to gain an in-depth understanding of their entire set of data management goals, challenges and requirements and then work with them to jointly craft a complete solution to meet their needs. 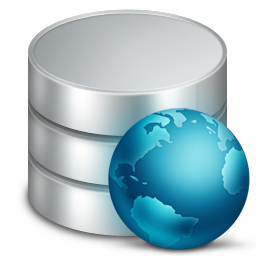 Our highly skilled database experts can assist in all phases of development, including planning and implementation, data and application migration, and performance tuning.